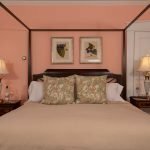 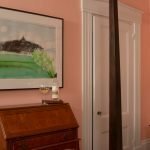 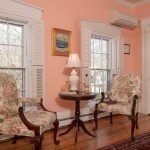 Cranberry is the original master bedroom of this 1825 Greek Revival home. 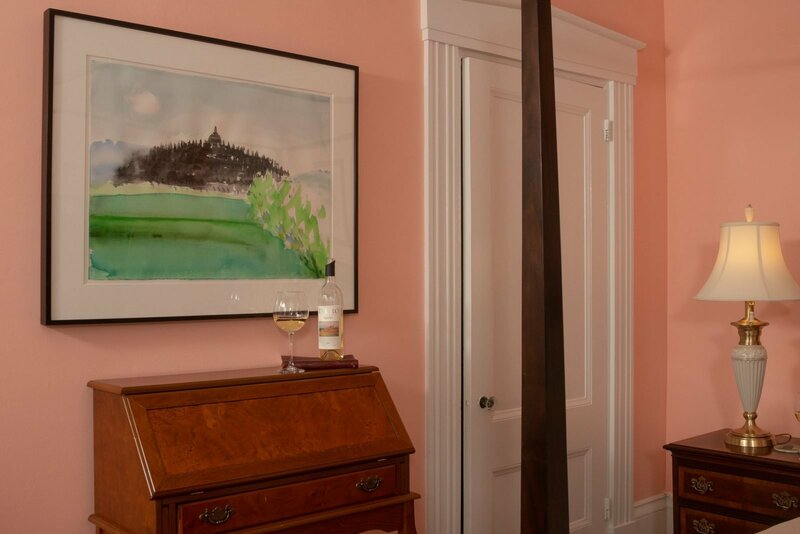 Original architectural details frame the doors and windows, highlighting the tall ceiling and giving the room a more spacious feeling. 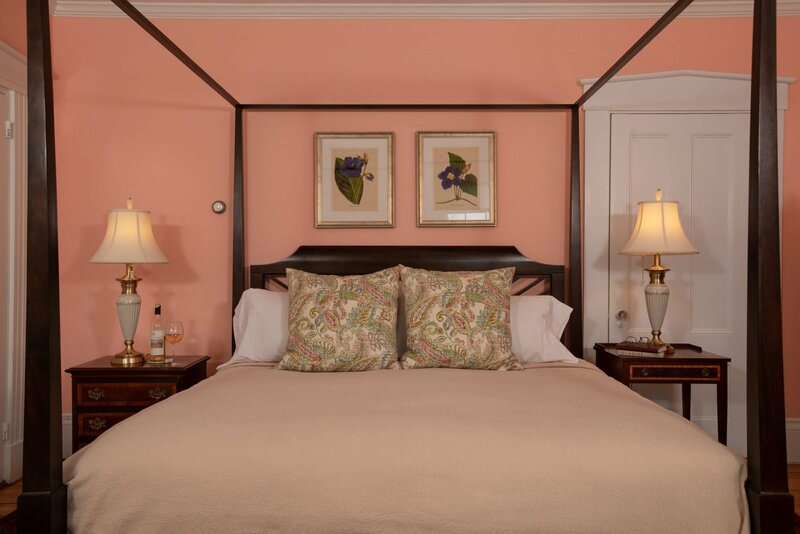 A king size four poster bed with a premium plush mattress will add to your relaxation. 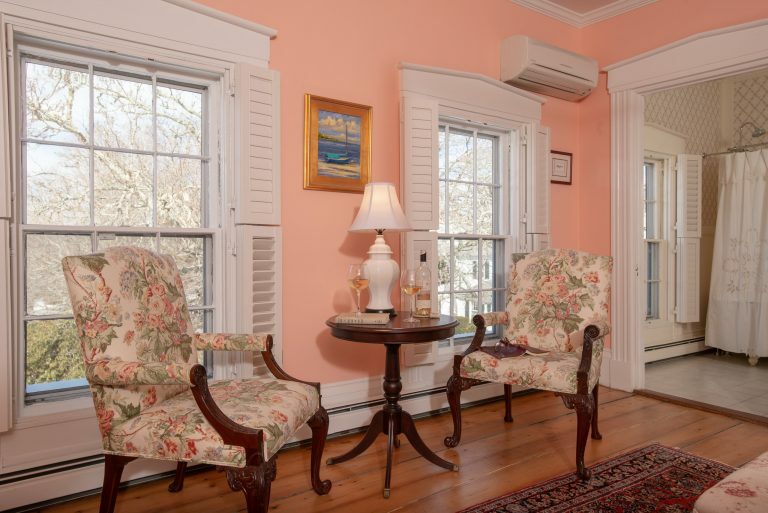 Comfortable chairs with ottoman, porcelain Lenox lamps, and lovely antique tables also compliment this room. 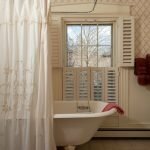 Most noteworthy, however, is the bath. 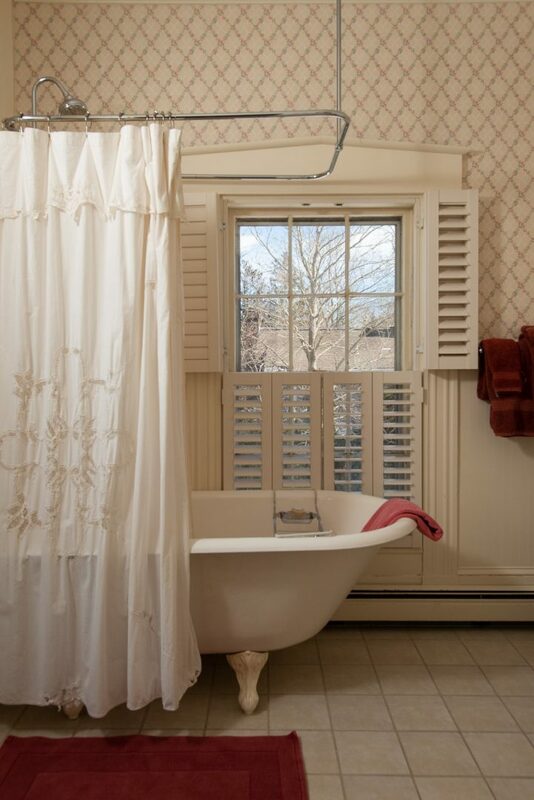 Cranberry’s bath hosts an old fashioned claw foot tub, with shower attached, bead board paneling and two wonderful windows–perfect for daydreaming while soaking in a relaxing bubble bath.